At PunkTorah, our most valuable asset is our people. 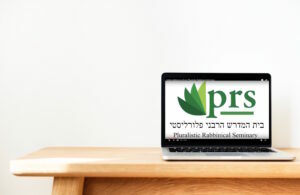 Our dedicated staff and volunteers serve the Jewish community through web based and in-person programs that promote independent Jewish spirituality and culture. Interested in joining us? PunkTorah welcomes all qualified internship applicants, regardless of gender/gender identity, race, age, sexuality, or disability. Timeframe: Spring 2012 (March 5th – June 1st, 2012). Additional intern opportunity available in the summer. This unique internship opportunity will allow a hard-working, self-motivated, creative individual to work with PunkTorah’s entire network of projects to advance Jewish spirituality and community. Our goal is to help you learn everything you need to know to start your own non-profit, web company or multimedia project. Be prepared to learn more than any classroom will ever teach you. Some exciting things include: WordPress website development, podcasting, graphic design, social media, creative writing, non-profit management, business/job skills, and of course, Jewish studies. Experience in these areas preferred, but not required. Including the opportunity to make a difference in the lives of thousands of people and to learn job skills, interns will also receive free tickets to Jewish events, merchandise such as CDs and books, and upon completion of internship, letters of recommendation to schools and employers. Interns will work out of our new office two days a week for four hours each day assisting Patrick Aleph as well as via Skype/phone with volunteers around the world. We honor all Jewish and secular holidays and will work with you to craft a consistant work schedule that is best for you and for the organization. Candidates must have reliable transportation and a commitment to PunkTorah’s values. Please email a short resume and an email explaining why you are applying for this internship to [email protected]. I’m thinking about calling this blog Rabbi Without A Cause instead of Tattooed Rabbi. You’ll see why in the video. In any case, this is where I am right now in my rabbinical school journey. Enjoy.